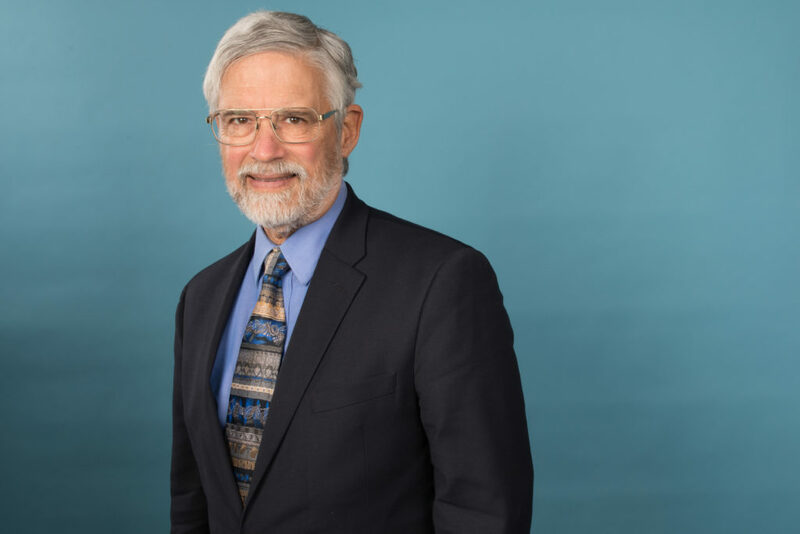 Dr. John Holdren has received degrees from MIT and Stanford University and is considered an expert on Environment & Energy, International Relations & Security, Science, Technology & Data. Dr. Holdrens’ leadership in research and policy in global energy and environmental issues has had a profound influence in shaping global environmental debate and advancing scientific contributions that affect the well-being and relations among people and nations. Since winning the Tyler Prize in 2000, Holdren was President of the American Association for the Advancement of Science (AAAS) and has worked as part of President Obama’s White House, advising on science and technology issues through his roles as Assistant to the President for Science and Technology, Director of the White House Office of Science and Technology Policy, and Co-Chair of the President’s Council of Advisors on Science and Technology (PCAST). He currently resides at Harvard University, and continues to study environmental aspects including innovation, clean energy, and the Arctic. What have you done since winning Tyler Prize? I have had the opportunity to serve President Obama for eight years as his Science and Technology advisor. I think that was, certainly, the pinnacle of the aspects of my career, dealing with science, technology, and public policy. But now I’m back at Harvard, after my time in the White House. I have the same position at Harvard as I had, before I went to the White House, as the Teresa and John Heinz Professor of Environmental Policy, in the John F. Kennedy School of Government at Harvard. I’m also a Professor of Earth and Planetary Sciences at Harvard, an affiliated faculty member of the School of Engineering and Applied Science, and co-director of the program on Science Technology and Public Policy at the Kennedy School. In addition, I’m currently Senior Advisor to the Director at the Woods Hole Research Center. I have a similar array of activity in those I was engaged in before my time in the White House. I have projects on energy, technology, and innovation, within the United States, China, and India. I have a research project on policy innovation to address the challenges of rapid climate change in the Arctic and I’m engaged with a number of non-governmental organizations that are concerned about the future of science and technology advice in the US federal policy. Are there any issues you’re excited to work on? I was deeply into arctic issues as part of my role in the White House, and I’ve continued to be excited about that since. But I’m also very excited about the role of energy technology innovation – improving our technology of energy supply, having more zero emissions sources, wind, solar energy, nuclear – if we can solve its problems, increasing energy efficiency. These areas are going to be key in getting around the Climate Change challenge and reducing the emissions of carbon dioxide and methane. I’ve also developed a passion for science and technology in the public policy process. Specifically, the role of insights from science and technology in influencing policy, ranging from economic policy to health policy to national security policy. A subset of that interest is my long-standing interest in nuclear arms control and non-proliferation. Public communication is obviously an extremely important part of getting insights from science and technology understood, appreciated, and injected into the policy process. It’s not that science and technology are the only ingredients of good policy, nor we should expect insights from science and technology to dominate policy decision-making. But if our policy makers are making choices about topics like the future of economic competitiveness, like the provision of health care, like the protection of national homeland security, like energy policy or environmental policy, and they’re making those decisions without access to the relevant insights from science and technology in those domains, they’re going to miss some opportunities and they’re going to make some bad decisions. So the crucial thing is to make sure that our policy makers, and our public, our citizens understand what is happening in the science and technology space. I do a lot of interviews. I do interviews on the phone. I do interviews on TV, I do interviews on the radio. I give a lot of speeches. I write op-ed pieces, I write articles for professional publications. I am very active in a number of non-governmental organizations like the American Association for the Advancement of Science (AAAS) and support programs to provide science insights to journalists, electronic media journalists, print media journalists. As the Teresa and John Heinz Professor of Environmental Policy, how do you propose tackling Climate Change? Climate change is, as President Obama put it, an all-hands-on-deck issue. We’re not going to fix climate change with the policies of one national government. We need all national governments. And we’re not going to fix it with governments alone, we need cities and states and regions to be taking action. We need the private sector, we need non-governmental organizations, we need the universities. One of the things that is encouraging about the situation in the United States is that President Trump’s announcement that he would withdraw the United States from the Paris Agreement created the emergence of a movement called America’s Pledge, where the pledge is, “We’re still in.” We’re still in, in terms of remaining committed to meet the targets to which the United States agreed in Paris. That Americas’ Pledge operation now includes 22 states in the United States. It includes several hundred cities, it includes more than a thousand businesses, it includes hundreds of universities. So these other sectors, with their actions and influence, will be important in addressing the energy climate challenge. They’re stepping up. And that’s good news. It’s bad news that President Trump is moving backwards on Climate Change, but it’s good news that the rest of society is trying to compensate for his retreat by stepping up their activities and their commitments. What were your thoughts when President Trump announced he would be withdrawing from the Paris Climate Agreement? We were all worried when President Trump announced the US withdrawal, which could conceivably stimulate others. Fortunately, that didn’t happen quickly. What’s happened now is Trump’s rise to power in the United States has encouraged people with similar views in other countries – some of whom have now advanced to national leadership. The Brazilian President is a particularly conspicuous example. However, there are two forces at work in the world that are ultimately going to bring everybody around on climate change. The first force is the continuously worsening symptoms of climate change itself. We had three 500-year floods in Houston in the space of three years. Floods that, under an undisturbed climate, would occur only on average once in 500 years, occur vastly more frequently. The ten largest wildfires in US history all occurred since 1997, and nine of the ten occurred since 2004. We are losing very substantial areas of coral reef around the world to coral bleaching. People are noticing that climate change is here, that it’s already doing damage. The continuing worsening of these very evident symptoms of climate change is going to increase the public voice calling for governments to take action. The second force that’s happening, is that solutions are getting cheaper. Wind energy has gotten much cheaper. From 2008 to 2016 we increased the amount of electricity to wind by about four-and-a-half times. We increased the amount of electricity we were getting from solar energy by more than 40 times in that period. And that happened not particularly because of policy, but because of economics. The renewables have been getting cheaper. Energy efficiency has been getting cheaper. Energy innovation and advocacy is going, ultimately, to overcome the recalcitrance of leaders like the President of the United States, the President of Brazil, the President of Australia. These folks are ultimately going to end up in what some have called the dustbin of history. People wondering how anyone could ever have been elected with such ignorance of the nature of the physical world and the ways in which humans societies depend on the physical world. What do you hope to see now that Democrats have taken over the House? So the biggest problem really, in terms of support for science and technology, has been some of the specific areas that have been turned into partisan issues. Particularly, energy and Climate Change. But it hasn’t ended up affecting support for basic research or support for biomedical research, and that’s a good thing. The fact that the Democrats are now taking over the House, I think is potentially helpful in terms of restoring support for clean and efficient energy, R&D for incentives to the private sector to expand their R&D in these domains, and for energy and climate policy more broadly. The trouble is that we still are going to have a Republican-controlled Senate, and you don’t get legislation done in the United States without both houses. I do think that the very substantial change that we saw in the midterm election will result in a real sea-change in the views of the electorate, and I think the House will be able to hold the Senate’s feet to the fire to some extent. So I’m hopeful that, they can now pass legislation in the House that so clearly makes sense that if the Senate rejects it, they will have to worry about paying a price in the next election. Particularly with respect to the issues of energy and climate change, but also in respect to a lot of social issues – insuring that we maintain coverage for preexisting conditions in our health policy, sensible immigration policies. Those kinds of issues. Also I think in trying to protect the integrity of the Mueller investigation of Russian interference in the 2016 election. I think a democratically controlled house is going to be important in that domain. If you were President Trump’s Science Advisor, what would you advise him to do? It’s not clear that President Trump would be listening to a Science Advisor if he had one. He very belatedly nominated a qualified individual to head the White House Office of Science and Technology Policy. But that office, by itself, does not confer direct access to the president. It’s only if the person who is Director of the White House Office of Science and Technology Policy is also given the White House rank of assisting the president, that that confers direct access. First of all, science and technology are important to the solution of every major issue on the national agenda. Whether it’s the economic issues, employment issues, public health issues, national security issues. Continuing to invest in science and technology at the Federal Government level in addition in continuing to encourage partnerships with the academic sector, to move the needle on major science and technology challenges related to the national interest. That’s just extremely important. Obama understood it. So far there’s no evidence that Trump does. That would be the most fundamental thing that I would try to persuade him about. That science and technology are important to everything that we want to do and should want to do as a nation. You have to nurture science and technology at the federal level, as well as in the private sector, and the universities. The second thing I would tell him is that it makes no sense at all to deny what observations and science are so clearly telling us about climate change. That the countries and the companies that first figure out how to deliver the goods and services that people want in climate-sparing ways are going to prosper, succeed, and make money. Those who don’t are going to end up buying the technology from somebody else. It’s not in the US national interest to cede leadership on clean energy and climate change mitigation to other countries. The third thing I would tell him is that we are in serious danger of a revitalized nuclear arms-race. With Russia. Perhaps with China as well. We need to very seriously rethink the level where safety and security resides. That comes from the management of nuclear weapons and the role of nuclear weapons in a defense policy and foreign relations. We basically have, to a great extent, missed an enormous opportunity presented by the end of the cold war to devalue the currency of nuclear weapons in global affairs. What we are now seeing is the consequences of that failure to devalue the currency of nuclear weapon. How did winning the Tyler Prize impact you? It was an immense honor, not only in itself, but for the fact that so many of my mentors, important mentors in my life, had previously been recipients. It was really wonderful to join that extraordinary company of other winners of the title. One of the things that the Tyler Prize money helped with is maintain the flexibility for me to, for example, take the job as President Obama’s science advisor. I was able to do that because I had a financial cushion. And part of that cushion was the invested money from the Tyler Prize. One of the things that all these major prizes do, is provide people with some flexibility. To enable them to take on jobs or problems that aren’t particularly remunerative but are very important to society. That certainly was the case for me, it provided flexibility for my career and interests.